This summer, I sought out a field experience over the pond in Ireland to work with rugby. Playing a couple years of rugby in college myself has me interested in pursuing a career covering rugby. 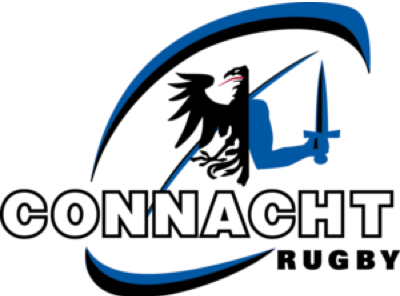 Currently, I am affiliated with Connacht Rugby, a member of the Guinness Pro 12 League, covering their U17, U18, and U19 squads as well as, Buccaneers Rugby Football Club, a member of the Ulster Bank League. I have had the pleasure to collaborate and learn from Michael Donohoe M.Sc ARTC. 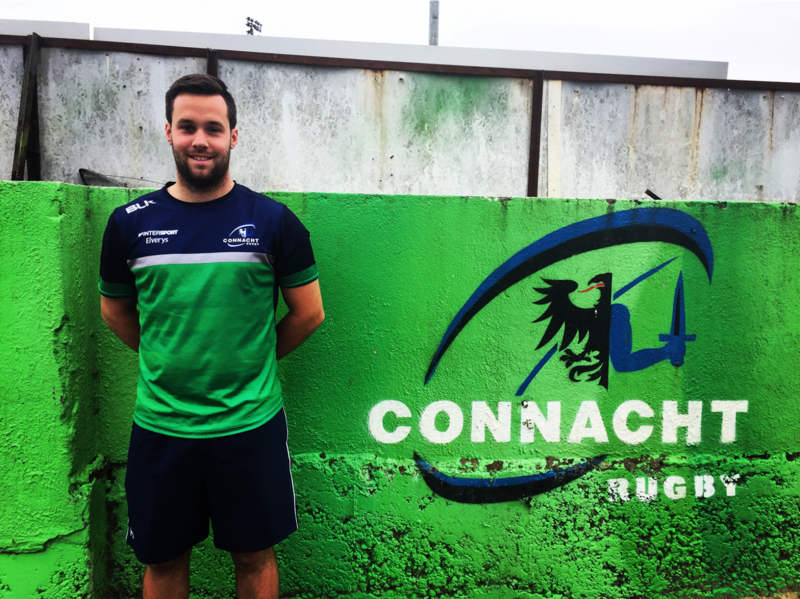 This is Michael’s second year working with Connacht Rugby’s sub-academy teams and his fifth year working with the Buccaneers. On top of his job as an Athletic & Rehab Therapist, he is also an assistant lecturer at Athlone Institute of Technology. He is always willing to answer the many questions I have and goes above any beyond his role as a preceptor to make sure I am getting the most out of this experience. 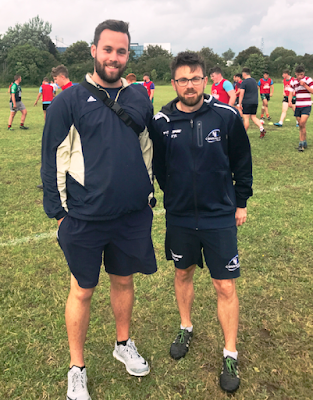 Being with the Connacht Rugby sub-academy teams has been an incredible experience to say the least. There are just under 100 athletes ranging between 15 and 18. 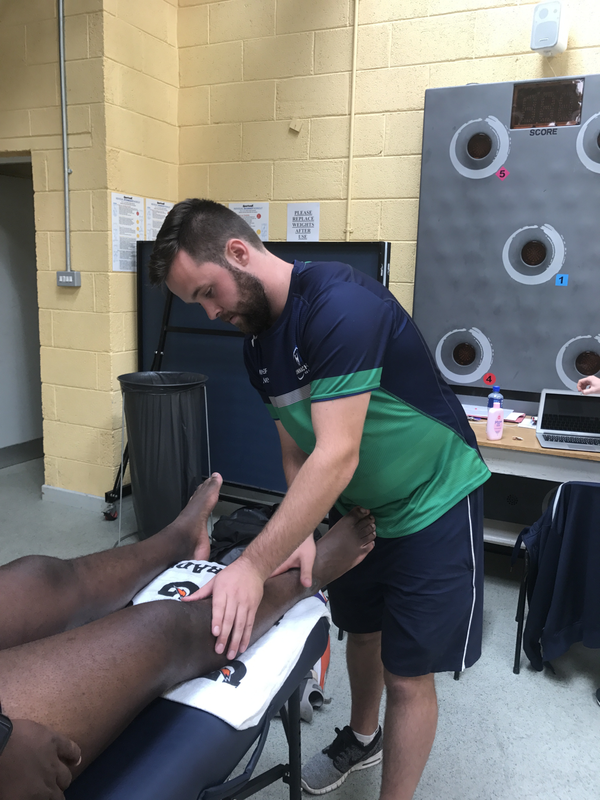 I am working with and treating the some of the best rugby players under the age of nineteen in the country. 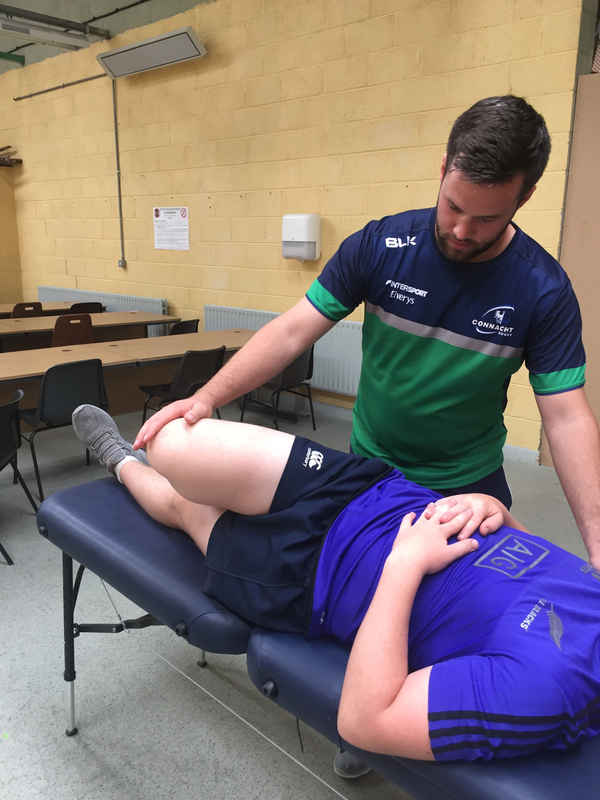 Connacht’s multifaceted approach to developing their athletes has given me the opportunity to collaborate with physiotherapists, strength and conditioning coaches, sports psychologists, and sports nutritionists. With the help of Michael, I have really refined my manual therapy techniques and gained a greater appreciation for them. I have also been exposed to many new rugby specific rehab and return to play protocols. I have also enjoyed my experience with Buccaneers Rugby Football Club. There are about 40 athletes on the team ranging between early twenties to mid-thirties in age. 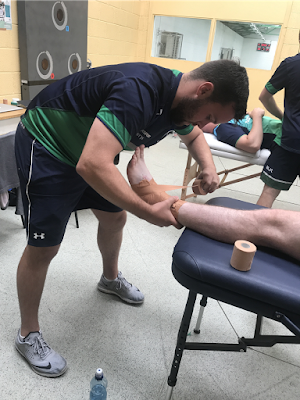 Currently the squad just started their pre-season training so our focus is on injury prevention and managing the volume of training. The athletes are great to work with and they are sure that there is never a dull moment in the clubhouse. I look forward to covering their matches, which begin mid-August. 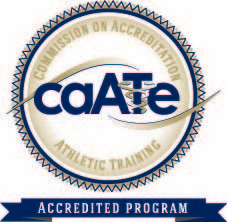 I am very appreciative of this experience to work with these athletes and staff. My time working with both Connacht and the Buccs has already had an immense impact on developing my skills as an athletic training student and on my education.